Deciding to organize a wedding or event isn’t easy. It takes a lot of work, dedication and time, and we always want everything to go perfectly. The most important part of the whole process is trying to enjoy it while maintaining a proactive attitude, instead of viewing it as an obligation. Having your doubts at the beginning, middle and end is inevitable, but it’s certainly nothing to worry about. That’s why we the professionals are here to help you in this process. Little by little, your ideas will take shape and become exactly what you’ve dreamed of. For many couples, choosing the venue is one of the most complicated parts. They want the venue to be a rural estate, however often the locations are too rustic for their tastes, or sometimes not enough… It seems that they can’t find exactly what they had in mind. 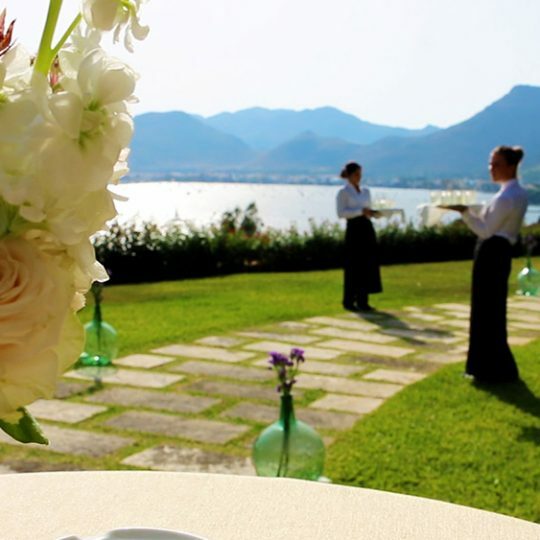 At Fosh Catering, we work with the most exclusive rural estates in Mallorca. Each wedding or event we hold is different, adapting to the personality, style and preferences of the couple. One of these estates is Sa Franquesa Nova, in Vilafranca de Bonany. This estate is a traditional Majorcan “possessió” that has been completely restored, combining architectural heritage with the highest level of comfort. It is spread out over approximately 4,000 m2, surrounded by olive, orange, lemon and almond trees… an experience that will allow guests to experience Mallorca’s authentic rural landscape. It has outdoor and indoor spaces that are full of character, and it has a capacity for up to 150 guests. Choosing Sa Franquesa Nova will make your wedding or event an unforgettable experience.